Objective To bond rubber gaskets to the top and bottom of a steel gas tank assembly. 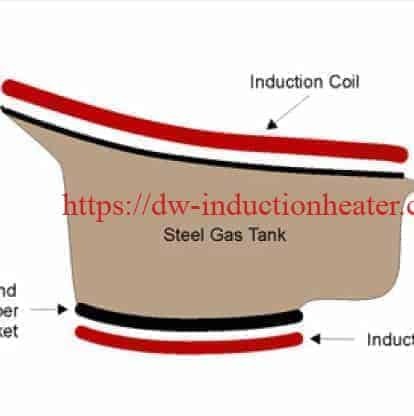 Process Two two-turn pancake coils are specially contoured to the the shape of the steel assembly to produce uniform heat in the gasket areas. The gaskets are positioned over the joint areas. Power is applied for 6.5 seconds to reach the bonding temperature of 320°F (160°C).